The New Year is here! If you plan on welcoming in the new year with some new flooring, you’ll want to know about some of the trends that are going to be popular in 2018. If you see something you love, give our flooring team in Rolla a call! We can help you install the flooring you love at a great price. You can contact us by giving us a call or using the form on our website! You know how fashion trends seem to come back around? Flooring trends are the same way. Parquet is making a comeback in 2018, having hit its first popularity peak in the 1950’s. The gorgeous, intricate wood designs are a departure from traditional planks and can add a lot of visual interest to your space. Move over vinyl and laminate; porcelain is the new wood these days. Porcelain planks are being made to mimic the look of your favorite wood flooring. The benefits of porcelain include the fact that’s it is super durable and ideal for areas like the kitchen and bathroom where dampness is a concern. Just when you finished ripping out all your carpet, it’s making a comeback. People were missing the warmth of carpet in their homes, especially in bedrooms. You’ll see lots of plush piles and deep shags going into homes. Many designers are skipping the wall-to-wall look, though, and opting to frame carpet with easier-to-clean wood floors. The farmhouse look is going strong and will continue to do so in 2018. With it will come a lot of distressed flooring looks. Distressed flooring might come from reclaimed sources such as flooring rescued from renovated houses or new flooring that just looks that way. The gray trend continues to thrive! Easier to clean than white and softer than black, it’s the perfect neutral to mix with any color you want to put in your home. It’s a definite in carpets but you’ll see plenty of gray tones in your wood flooring this year as well. Embrace it! It’s a look that will remain classic for years to come. Ready to put one of these gorgeous trends into your home? We’re ready to get to work on it. Give us a call and let’s talk about your flooring needs. Our team can give you a competitive quote on the project and schedule a time to get started that works for you. 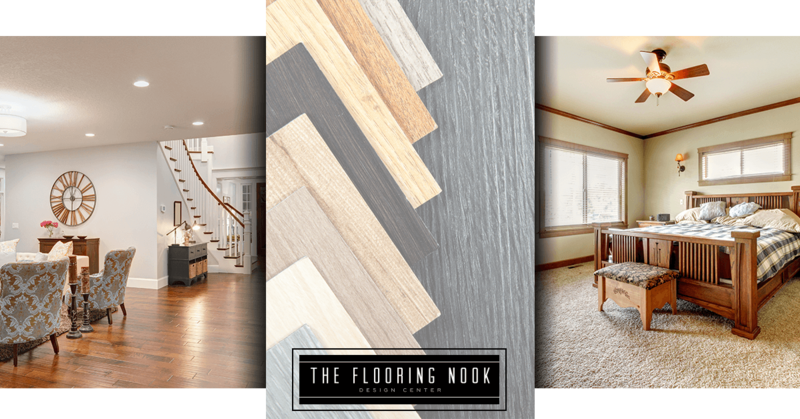 Make 2018 the year you got the flooring you’ve always dreamed of having in your home!